We are receiving some guests tonight and I would like to serve them something special for the apéritif. Sometimes I am getting tired to serve only beers and wine. Even if I love red wine, I like changes. You will find below the recipe of a colorful cocktail. Really easy to make, you will only need few minutes to serve something different to your friends. 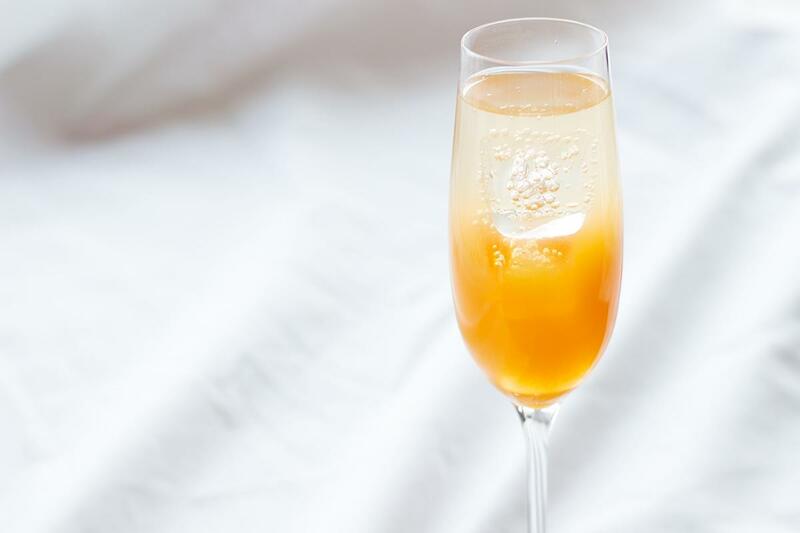 Only 2 ingredients, apricot juice and champagne. If you want to replace champagne with some prosecco, this is also possible ! You can maybe serve this cocktail with a delicious verrine. You will find numerous verrine recipes under the verrine recipe index. I do not find so easy to take cocktail pictures. I am always afraid of ice cubes. So afraid of ice cubes that I bought fake ones some time ago. They are definitely easier to use to take pictures. They do not melt and you get all the time you want to try to take beautiful shots. 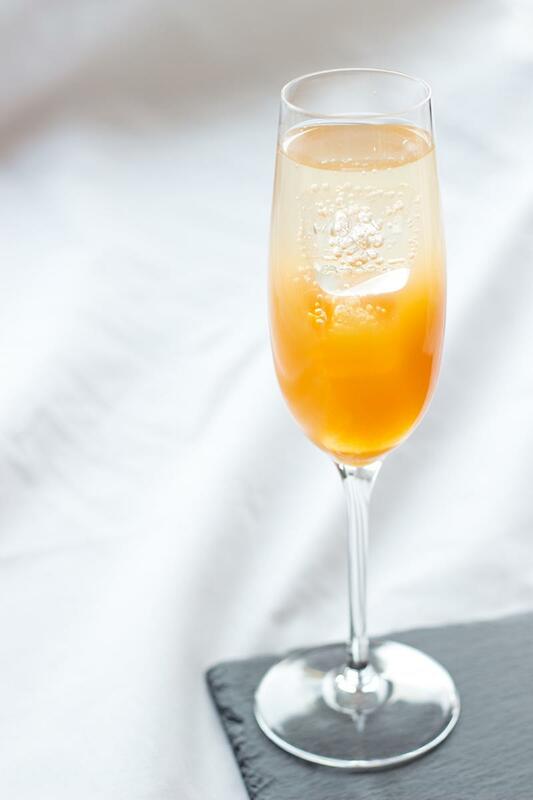 Anyway you will find below the recipe of the Apricot Royal cocktail. Enjoy ! And let me know what do you think?